Appreciate the collections at Musee d'Orsay and Louvre Museum. Get some cultural insight at Île de la Cité and Arc de Triomphe. Go for a jaunt from Paris to Versailles to see Palace of Versailles about 48 minutes away. 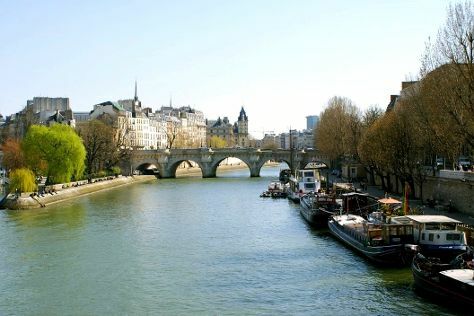 There's much more to do: shop like a local with Le Marais, enjoy the sand and surf at Paris Plage, wander the streets of Saint Germain des Pres Quarter, and admire the landmark architecture of Cathédrale Notre-Dame de Paris. To find out how to plan a trip to Paris, use our trip itinerary maker. Jeddah, Saudi Arabia to Paris is an approximately 10.5-hour flight. You can also drive; or do a combination of car and ferry. The time zone difference moving from Arabia Standard Time to Central European Time is minus 2 hours. Expect cooler temperatures when traveling from Jeddah in November; daily highs in Paris reach 12°C and lows reach 6°C. 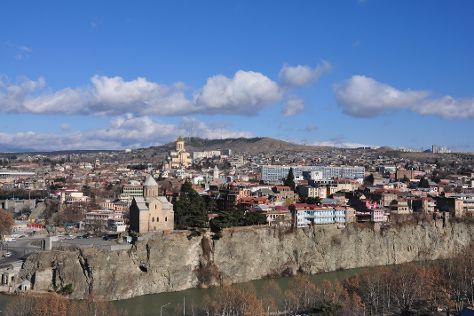 Cap off your sightseeing on the 6th (Tue) early enough to travel to Tbilisi. Your cultural itinerary includes sights like Svetitskhoveli Cathedral and Tsminda Sameba Cathedral. Your inner history buff will appreciate Uplistsiche Cave Town and Narikala Fortress. Next up on the itinerary: take in the architecture and atmosphere at Anchiskhati Basilica, see the interesting displays at Open Air Museum of Ethnography, try to win big at Shangri La Casino, and test the waters at a local thermal spa. To see photos, maps, and tourist information, refer to the Tbilisi travel route planner . Traveling by flight from Paris to Tbilisi takes 8.5 hours. Alternatively, you can do a combination of train, bus, and flight; or drive. Traveling from Paris to Tbilisi, you'll lose 3 hours due to the time zone difference. Expect a daytime high around 14°C in November, and nighttime lows around 5°C. Finish your sightseeing early on the 10th (Sat) to allow enough time to drive to Telavi. 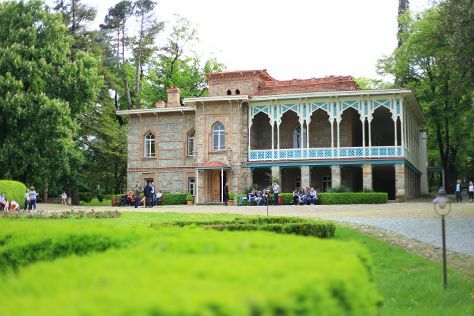 Start off your visit on the 11th (Sun): take in the architecture and atmosphere at Alaverdi St. George Cathedral, head outdoors with Gombori Pass, then savor the flavors at Tsinandali Palace, then take an in-depth tour of Gremi, and finally step into the grandiose world of Gremi Citadel and Church of the Archangels. To find maps, where to stay, and other tourist information, refer to the Telavi online road trip planner . Traveling by car from Tbilisi to Telavi takes 1.5 hours. In November, daytime highs in Telavi are 14°C, while nighttime lows are 5°C. Wrap up your sightseeing on the 11th (Sun) to allow time to travel to Batumi. Your cultural itinerary includes sights like Batumi Boulevard and Ethnographic Museum "Borjgalo". Visit Sarpi Beach and Kobuleti Beach for some beach relaxation. Take a break from Batumi with a short trip to Ureki Beach in Ureki, about 1h 20 min away. 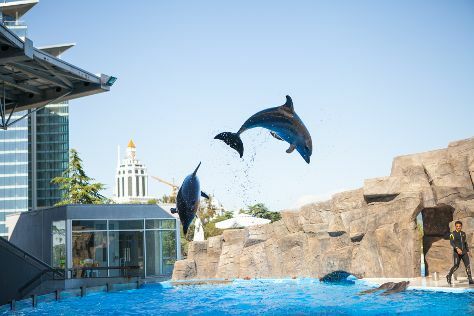 There's lots more to do: identify plant and animal life at Dolphinarium, take in nature's colorful creations at Batumi Botanical Gardens, and don't miss a visit to Colonnades. To see other places to visit, photos, more things to do, and tourist information, go to the Batumi trip itinerary maker website . Do a combination of taxi and flight from Telavi to Batumi in 2 hours. Alternatively, you can drive; or do a combination of taxi and bus. Plan for a bit warmer temperatures traveling from Telavi in November, with highs in Batumi at 20°C and lows at 11°C. Wrap up your sightseeing on the 15th (Thu) to allow time to travel back home.